Is there a better way to validate a new putter design than to win a Major with it by making some clutch putts? That’s exactly what Adam Scott did at the Masters 2013 with a prototype version of the new Scotty Cameron Futura X mallet putter. Cameron had been working on the design since the start of 2013, making subtle tweaks in consultation with Scott before the Aussie settled on the final version ahead of Augusta. Precision-milled from high grade aluminium, the Futura X has two 20g weights on the rear balance bar and two adjustable sole weights in the front corners of the putter under the face. This results in a deeper centre of gravity, which helps stability throughout the stroke. Perimeter weighting adds forgiveness and a solid feel, further enhancing stability. Other features include T-shaped sight lines for easy alignment, improved sound off the face and a Pistolero grip for a stable feel. But it’s not solely a design for a belly putter – Jason Dufner is one of a few Tour players who have tested the standard length version, too. “I like to describe Futura X as a lethargic putter, for those golfers that need a slow, steady stroke that doesn’t jump around a lot,” said Cameron. 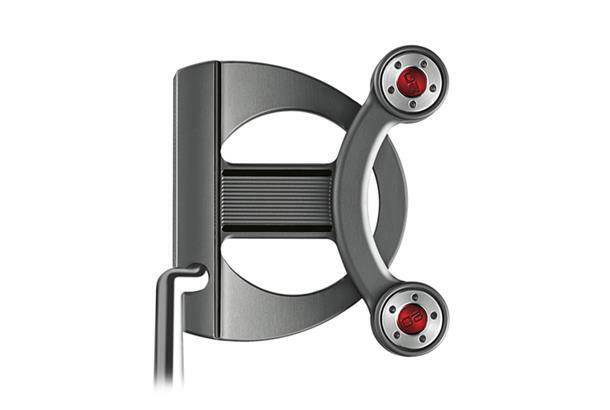 “While it has a near-face balanced shaft configuration that would normally produce a slight toe hang, there’s so much weight off the back of the putter that it forces the face to hang flat. The rear balance bar allows us to add considerable weight a long distance away from the shaft axis, which is really what drives the high moment of inertia. 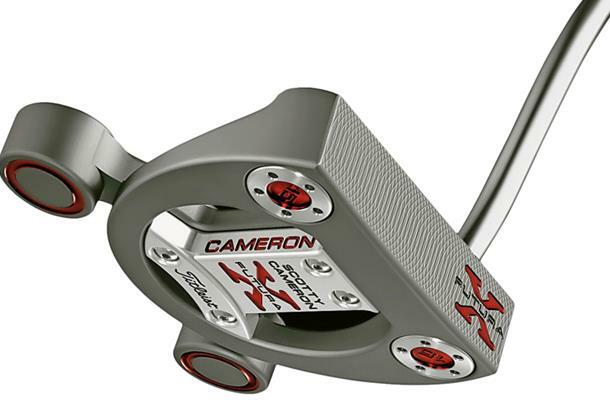 It will give confidence to all golfers that want stability during the stroke and less hand manipulation.” Futura X is 20 grams heavier than a standard Cameron Select putter. But since much of the weight is located behind the shaft axis and not under the golfer’s hands, the club feels stable but not heavy during the stroke. 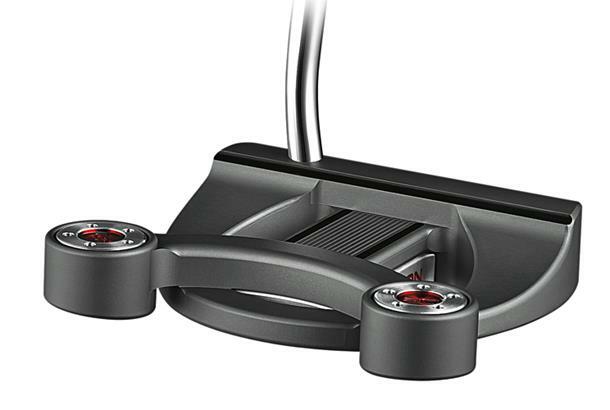 As reviewed in our 2014 Putters Test: An unusual look. Seemed to naturally swing on a neutral arc and square up effortlessly. It was difficult to control on downhill putts as the ball does come off quite fast and there’s so much mass in the head. The shape and finish are very classy. You can tell a lot of thought has gone into it. Performed well from short and long range. Soft feel with plenty of strike feedback.